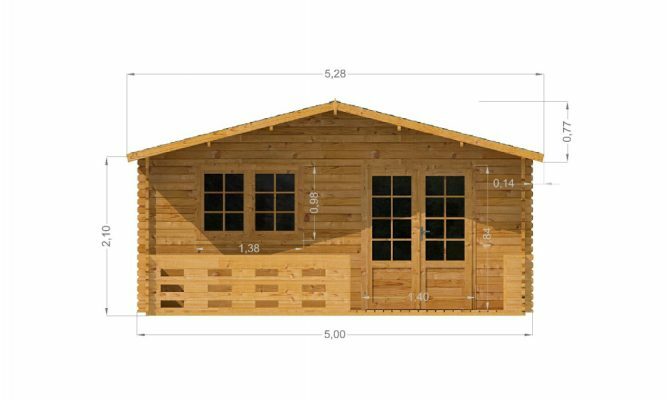 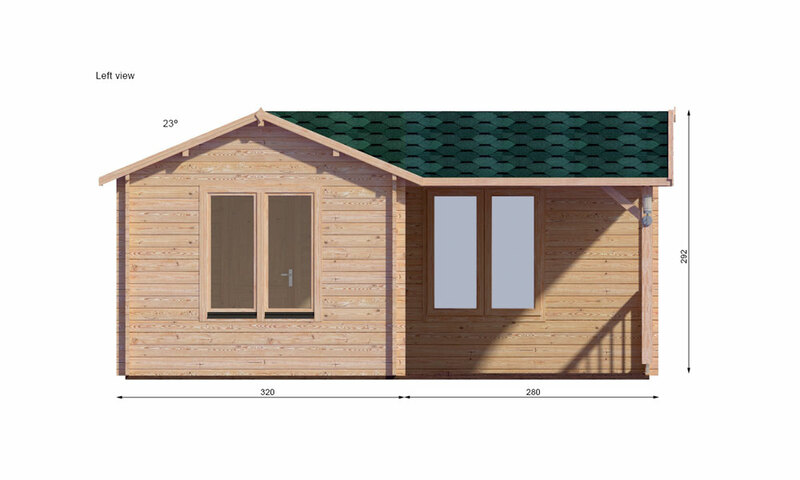 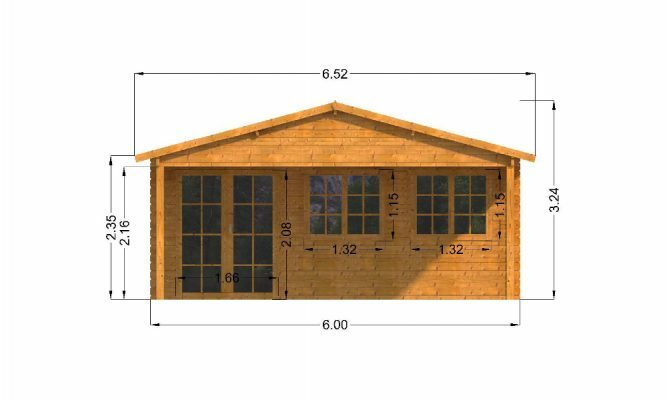 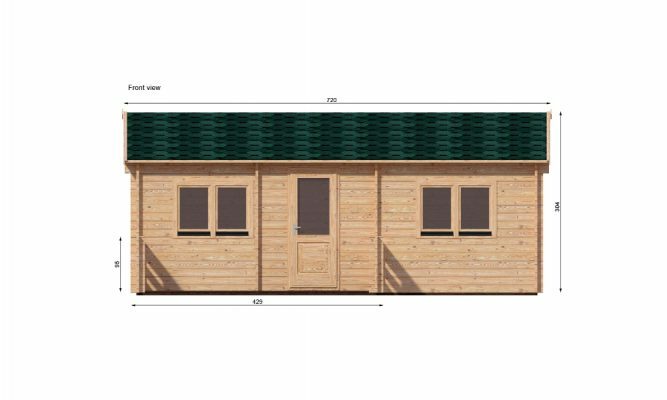 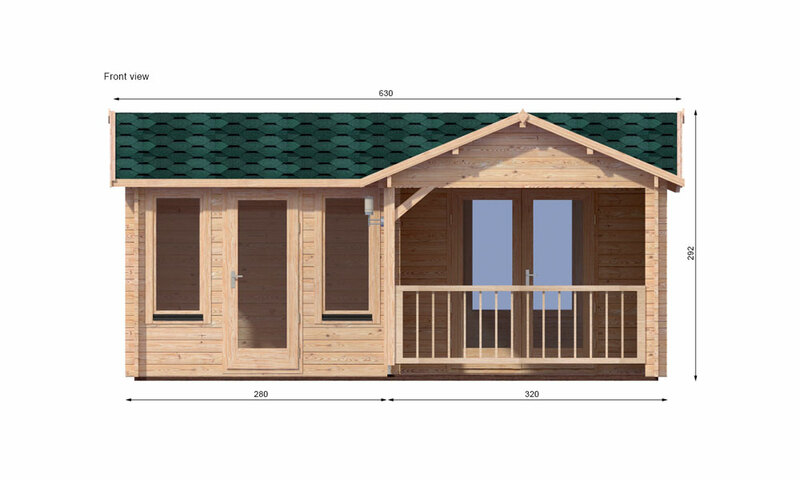 The Suzy Cabin is perfect as a larger summerhouse and with a covered terrace it has the added benefit of a gazebo. 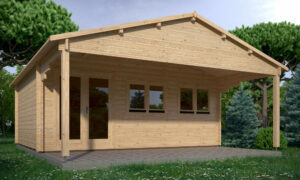 The two rooms provide a potential play room for the children with an entertaining space for the adults. 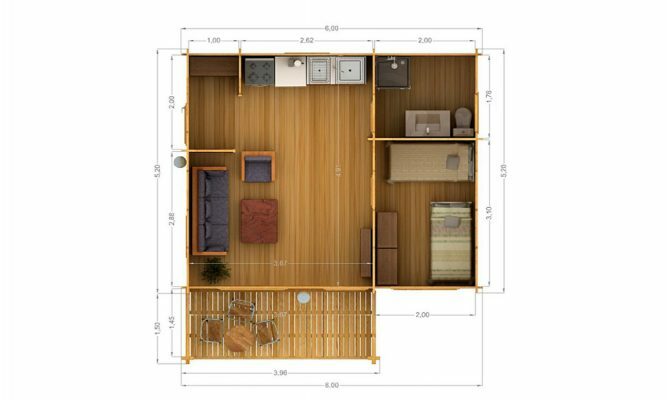 Alternatively the larger room could be used as a guest room, with plenty of space for a double bed. 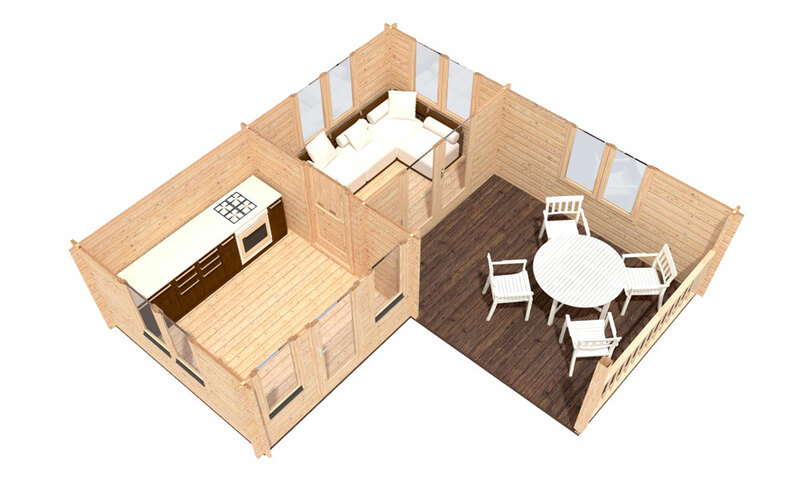 The smaller room would make an ideal lounge area for visitors. 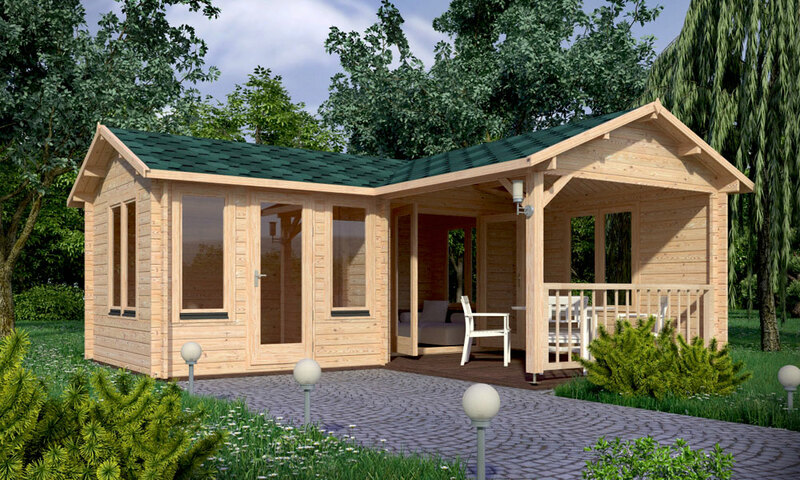 The hip and valley roof on this cabin makes for an eye-catching design. 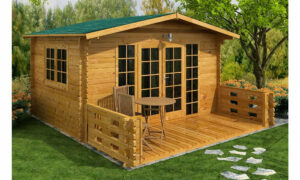 Free roofing felt is included as standard, but with felt shingle tiles this log cabin gains an unrivalled rustic charm. 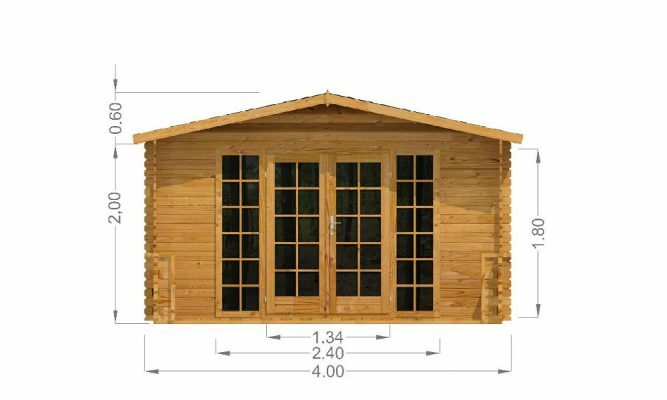 Double glazed as standard this cabin offers security and warmth. 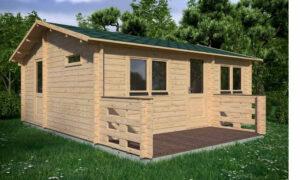 Why not make this cabin even more snug, for use the whole year round, with floor & roof insulation? 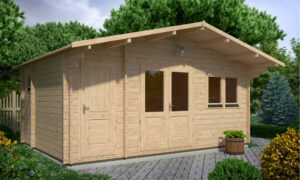 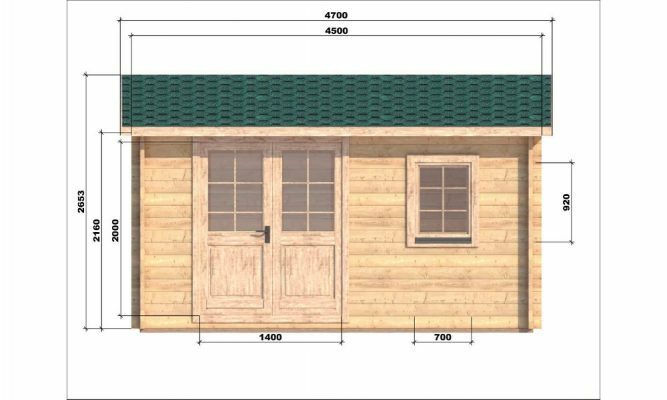 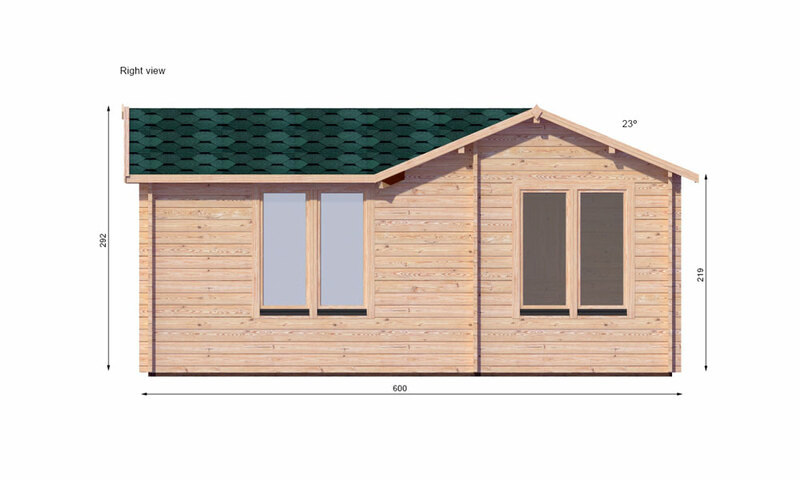 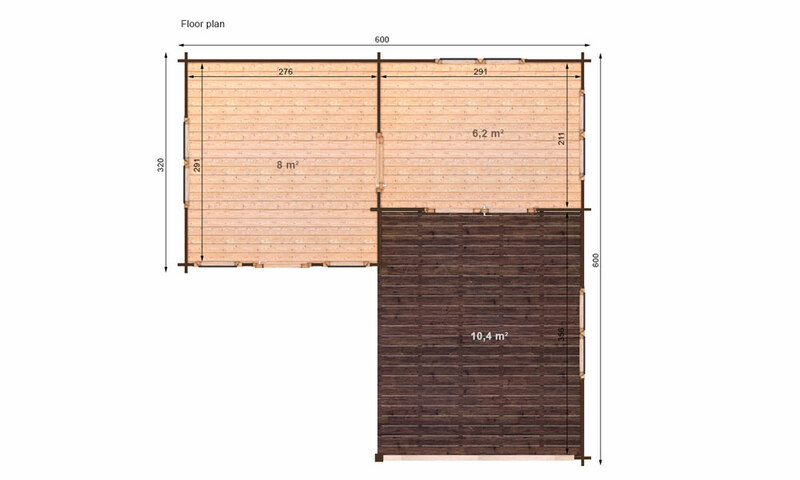 For maximum longevity we recommend this cabin to be installed on a concrete base by our experienced install team. 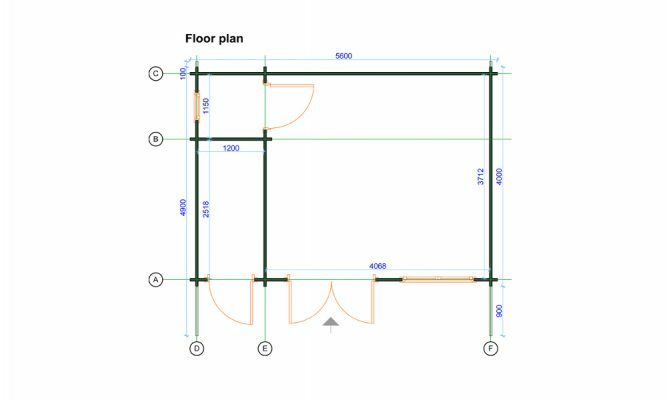 1 double glazed single door. 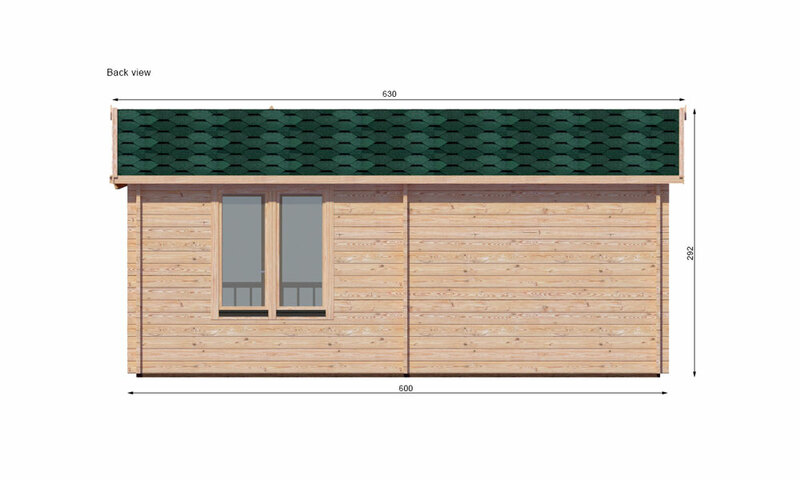 6 double glazed tilt & turn windows. 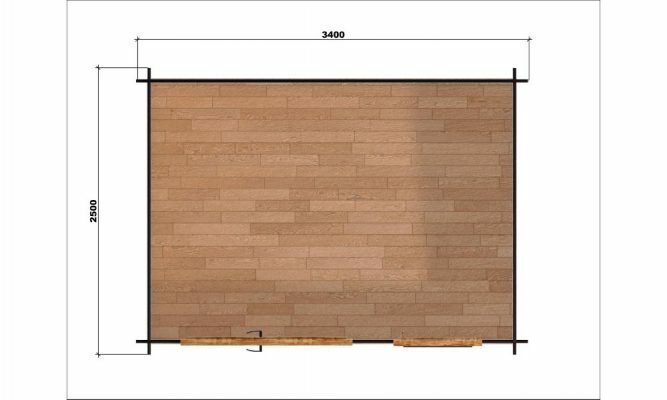 Wall profile: 44mm double grooved. 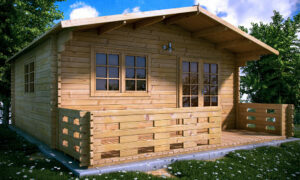 As with all of our log cabins, we offer a bespoke service. 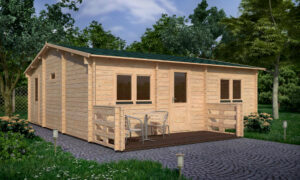 Contact us today to order your dream cabin. 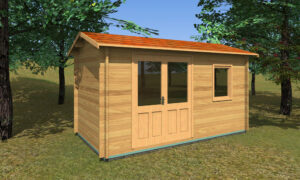 Floor Insulation = £470 fitted. 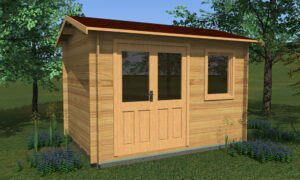 Roof Insulation = £575 fitted.